I've finally made a new concept! My goal was to do something different for the Blackhawks, so I used their original black-and-white colour scheme, along with a striping pattern somewhat inspired by their barberpole jerseys. For the logo I tried their tomahawk-C logo in a roundel, and the sleeve numbers overlapping the stripes come from their 1959-61 home jersey. 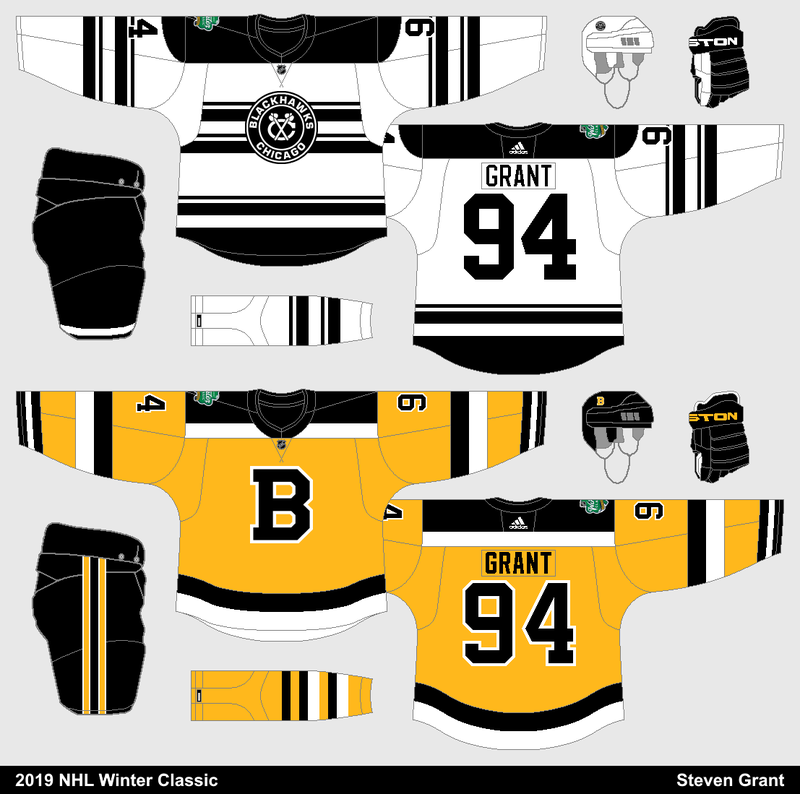 The Bruins jersey is mostly inspired by their 1939-48 white jersey, but with a yellow base instead, and the block-B logo on the front. I also added cuffs similar to what was used on their 1932-39 jerseys.